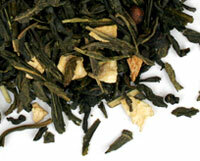 White Monkey is a world-renowned green tea and a speciality of Fujian province in eastern China - specifically the Taimu mountains that overlook the East China Sea. 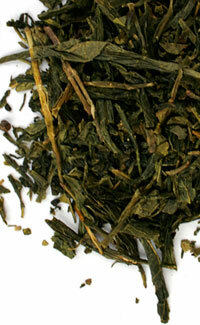 Mao Feng is a fine quality green tea, harvested in late springtime. 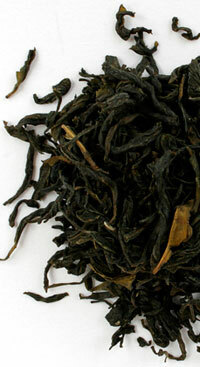 It is sometimes called Criss-Cross Tea due to its wild, unruly leaf shape (and certainly not because of any celebrity endorsements). 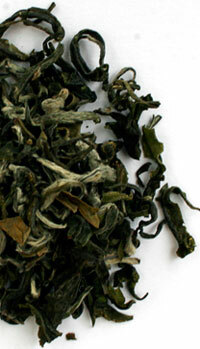 Gunpowder tea is a classic Chinese green tea, first produced over a thousand years ago. 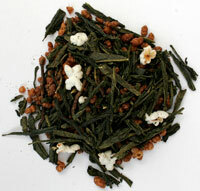 Tea with popcorn? 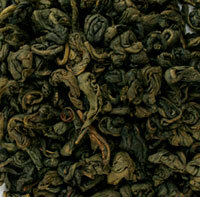 Surely no mortal mind could have deliberately conceived such an unlikely wonder. 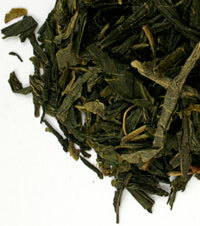 A classic, everyday tea from Japan with large leaves and a soft, slightly grassy flavour. 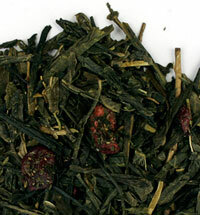 Sencha combined with sour cherry pieces - a classic among flavoured green teas. 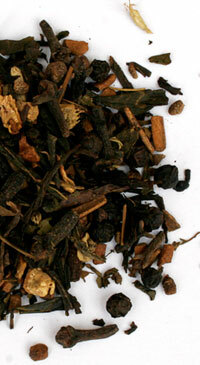 Fresher and less intensive than normal chai tea, with a minty note. 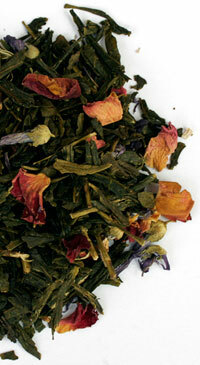 Sencha green tea with rose petals and the Earl Grey flavour of bergamot. 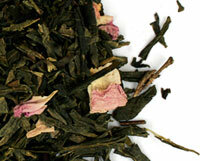 A triumphant mix of sencha green tea with rose petals, mallow flowers and floral flavours. 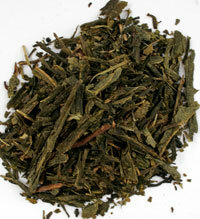 A delicious blend of sencha green tea leaves and dried cranberry pieces for wonderfully refreshing brew. 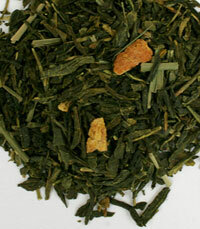 Sencha green tea with chunks of lemon peel - relaxing and reviving. 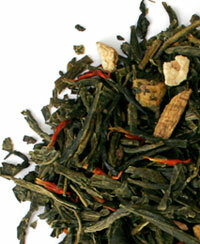 Gunpowder green tea with spearmint - fresh and invigorating. 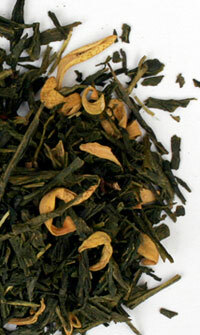 Sencha green tea with orange peel - sweet and refreshing. 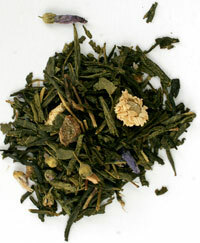 Sencha green tea with peach pieces, mallow and chamomile flowers. 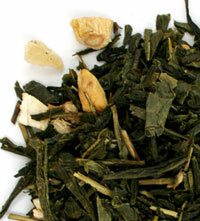 A mild sencha green tea with stimulating ginseng. 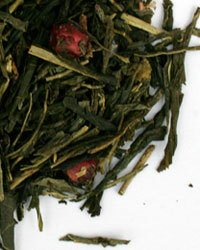 A reviving and stimulating combination green tea, pineapple, ginger and ginseng pieces. 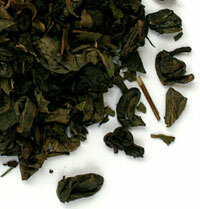 A soft and mild tea with large leaves, less bitter than other green teas. 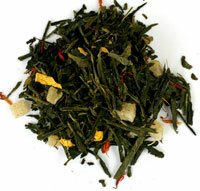 An exotic, fruity mixture of Sencha green tea with pineapple and mango cubes, safflower and sunflower blossoms.